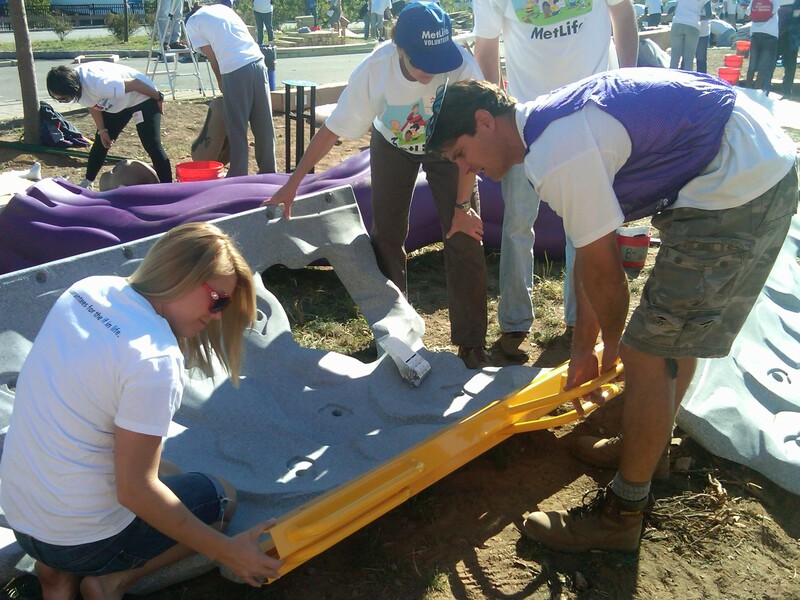 These MetLife volunteers join together to construct a playground. For years to come, children will be able to enjoy a safe and fun environment. Thanks!